Successfully Added Dual Headphone MP3 Player 1GB - Audio Line In to your Shopping Cart. Wholesale discounted MP3 Player with 1GB of flash memory, Audio Line In recording ability, and two 3.5mm earphone jacks for letting two different people listen in at the same time. This MP3 player also has a dot matrix display for easy GUI interface, ID3 tags, a long lasting rechargeable battery, and multiple languages. 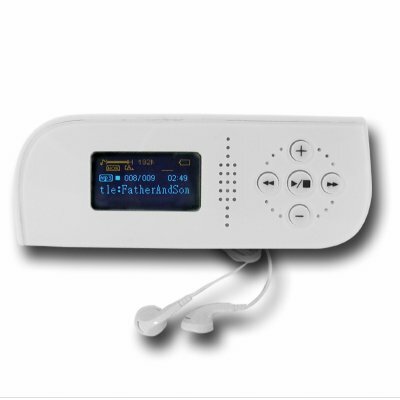 These, other great features, and the low price Chinavasion offers make this a high profit item for resellers as well as a good choice for anyone wanting a MP3 player for themselves..